None of the standard phone companies do anything on the weekend so even if ooma tried to do a port on a weekend they would not be successful. Verizon did their side early Friday morning before OOMA staff started working. Want to port our number but we are waiting for the 2nd tier to get back to us on a trouble ticket. 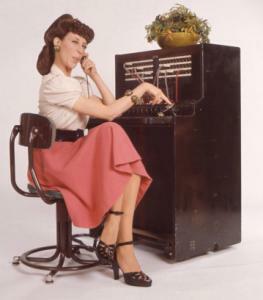 Getting "all circuits are busy" on a Oooma number. Some calls come through and some calls don't. Ticket was opened on 8/24/09....not sure what options are left. I had a complete success with my port from AT&T. on 8/25 got another confirmation for the 8/27 and to remember to dry loop the dsl. two hours later on 8/27 I got the email saying my account has changed to my ported number. I even got an email that said the port was complete and to reboot the router to pick up the new phone number. I did that and callerID now has my ported number. Last edited by tkramer on Thu Aug 27, 2009 3:29 pm, edited 1 time in total. For three months I've been trying to get two numbers ported over to OOMA from Time Warner Cable. I've called customer service multiple times, and all they can tell me is that they're working on it. They opened problem tickets for each line, but for some reason they're never updated. The last time that I called ooma, I couldn't understand the broken english of the employee, and asked to speak to a manager. I was told that a manager would call me back when they were available, and to date I haven't received a call from ooma customer support. This is by far the worst customer service that I've received from a company. Because no one has an answer, and they can't tell you who to call to resolve the delay. many times the problem is not with ooma but with the company giving up the number. to compound your problem, you are not dealing with a telco, but with TWC. They are only a VOIP service provider, just like OOMA is so you are dealing with TWC, TWC's CLEC, OOMA, and OOMA's CLEC in order to get your number ported. ridertm wrote: For three months I've been trying to get two numbers ported over to OOMA from Time Warner Cable. WHEN YOU CALL THE NUMBER WHAT HAPPENS? SO FAR I HAVE HAD PRETTY GOOD RESPONSE VIA EMAIL SUPPORT. I sent an email on Monday and got no response. One time they said that their porting group was working on it. Another time they said that it was being handled by their telco, so I asked if I could speak to someone at their telco and the support rep had no information on how I could contact them. In the past I've switched landline providers, and there's been no delay. I've switched cell phone providers and there's been no delay. It shouldn't take three months to transfer a number. I called Time Warner Cable today to see if they received the port request. They said it was scheduled for transfer on July the 15th, but then it was canceled by a company called FiberNet. Not sure why, because I never asked them to cancel the transfer. Is FiberNet the telco that OOMA works with? Guess I need to find out how to contact FiberNet since OOMA had no information for me.